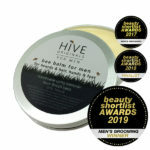 AWARD WINNER: The Beauty Shortlist Awards BEST Heel Balm 2018 and The Beauty Shortlist Awards Editors Choice 2017. Just because you’re now wearing boots, doesn’t mean you should stop looking after your feet! Use our beeswax Heel Balm and say goodbye to those unsightly cracked heels all year round. This is a totally different formula to all our other balms and has a much softer texture. 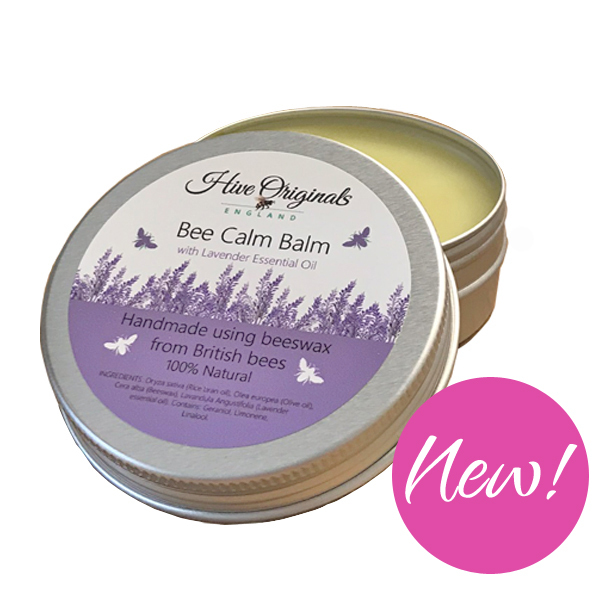 Our beeswax based balm is blended with Shea butter to soften and smooth the skin. 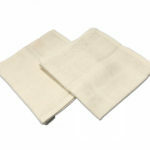 The beeswax promotes suppleness and is a fabulous source of vitamin A. But the really magic ingredient is the healing Calendula oil – high in carotene, it rapidly promotes skin tissue repair. Delicately scented with lavender and grapefruit essential oils. What’s the the difference between a heel balm and a foot cream? 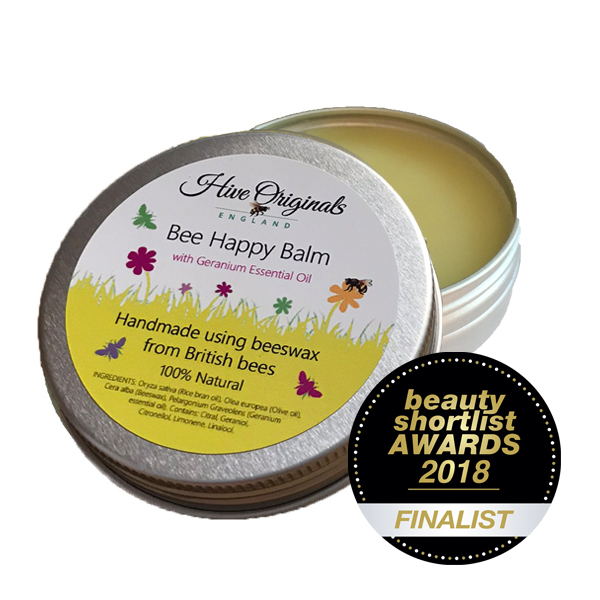 Well in a nutshell, a balm is excellent at giving a high dose of healing magic and is amazing at smoothing rough patches of skin whereas a cream offers superb hydration. A heel balm should ideally be part of your daily foot care routine alongside a good foot cream to keep those toes in tip top condition. After all, many of us neglect our feet until the sun comes out and we want to show them off to the world! Time to say goodbye to cracked heels for good! We have developed our own unique blend of our very own beeswax, Shea butter and Calendula oil to make a heel balm that really nourishes the skin. As with all our products, there are NO mineral oils in our balms unlike many other brands. How to apply? 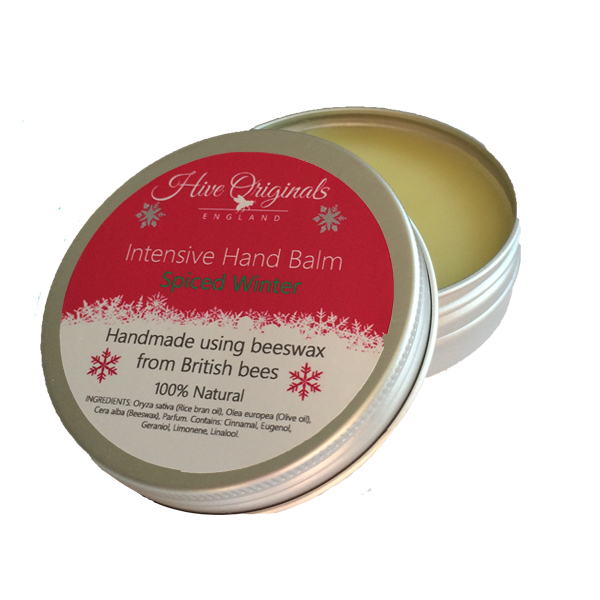 Scoop a tiny amount out of the tin and simply let the waxy balm gently melt on your skin. Massage into your heels, paying particular to the rough patches of skin. 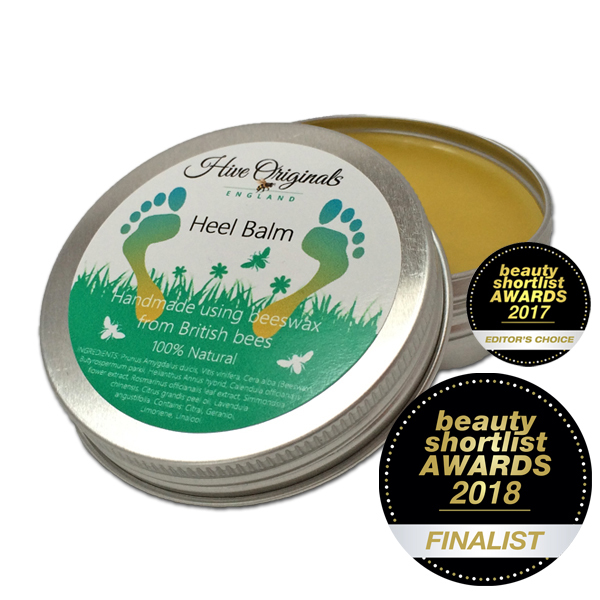 Or if you’re lazy like us – the tin is the perfect shape to put your heel in and apply the balm – don’t press too hard though as with all our natural products a little goes a long way! Did you know that Calendula oil is high in Carotene? The carotene is a powerful antioxidant and so works well to fight free radicals, the cause of chapped skin. Also great for athlete’s foot. Prunus amygdalus dulcis (Sweet Almond oil), Vitis vinifera (Grapeseed oil), Cera Alba (Beeswax), Butyrospermum Parkii (Shea butter), Helianthus annus hybrid, Calendula officianalis flower extract, Rosamarinus offcianalis lef extract, Simmondsia cinnensis, Citrus grandis peel oil (grapefruit oil), Lavendula angustifolia. Contains: Citral*, Geraniol*, Limonene*, Linalool*. I know you can’t make any medical claims but I just wanted to say that since using your heel balm which feels very luxurious, I have noticed an improvement in a fungal nail infection. This has been treated for several months with topical treatments on prescription, there is a long way to go but one nail is definitely showing marked improvement, hence my recent reorder.